TORONTO -- The 2010-11 season got off to a raucous start as the NHL Face-Off took over Dundas Square downtown Thursday, giving fans a chance to catch a glimpse of some hockey legends and listen to some great music at the same time. And although it was a weekday afternoon, there was a throng of autograph-seekers and hockey fanatics on hand to watch as two former Maple Leafs and the father of arguably the greatest hockey player ever took some questions from the fans. One fan asked former Leafs Jim McKenny and Darryl Sittler who their heroes were growing up, and their answers may have surprised the partisan crowd. McKenny said he drew inspiration as a youngster growing up in the Ottawa area from Canadiens Hall of Famer Doug Harvey, a pioneer of the puck-moving defenseman every team seeks today. Sittler followed by mentioning former Canadiens great Jean Beliveau, for his grace on the ice and classiness off of it. Sensing the moment was ripe, the third member of the panel, Walter Gretzky, proceeded to steal the show. "For me," he said, "it was the whole Maple Leafs team." 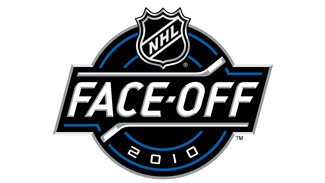 That is just a snapshot of the experience fans had in store Thursday at NHL Face-Off, which also featured hockey clinics with NHL alumni like Wendell Clark, Tim Taylor and Gary Roberts, concerts by Newfoundland's Hey Rosetta! and British Columbia rockers Hedley, and tons of interactive booths. In the evening, a huge crowd was expected to take in another installment of the Montreal Canadiens-Toronto Maple Leafs rivalry on giant screens, while the first-ever game at Pittsburgh's Consol Energy Center was also being broadcast as the Penguins took on the cross-state rival Philadelphia Flyers. For Gretzky, who turns 72 on Friday, events like this never get old and he marvels at how the typical hockey fan has changed since his son Wayne first took up the game in the early '70s. "The one thing I notice is that it's more a family affair today than when Wayne started," said Gretzky, who signed at least 200 autographs over the afternoon. "Back then, it was mostly the men that were hockey fans, the fathers and grandfathers. But now it's not like that, it's the mothers and grandmothers and aunts and nieces. Everybody's a fan. It has changed, there's no doubt about it." Watching the scene unfold was also impressive for Sittler, who obviously never saw anything like it back in his day. "Everything is so different now," said the Leafs' legend. "The marketing, the media exposure, it's everywhere and that's the nature of it. It's a festive mood. To have a kickoff for the NHL today in Dundas Square is nice for the city of Toronto and the fans. It's good. It grows the game." Just before shuffling off to another event he was squeezing in before taking in Thursday night's opener at the Air Canada Centre, Sittler did explain his allegiance to Beliveau and made no apologies for it. "Every kid in Canada growing up, even today, has somebody they like," Sittler said. "Who knows where your life is going to take you, and it took me to the Maple Leafs and I was proud to be a Maple Leaf and drafted by them and to be named captain. But at the same time a guy like Beliveau, I watched how he carried himself off the ice and tried to emulate him. I still emulate him today." Despite that, there is no doubt who Sittler was pulling for Thursday night as the Habs and Leafs locked horns for the 703rd time in history. And what better way could there be to kick off the NHL's 93rd season?